On March 30, 1981, a symposium entitled "Chemistry of Engine Combustion Deposits" was held at the 181st American Chemical Society National Meeting in Atlanta, Georgia, under the sponsorship of the Petroleum Division. This book is an out- growth of that symposium, including papers from all of the At 1 anta presentors, as we 11 as from others who were i nvi ted to contribute. 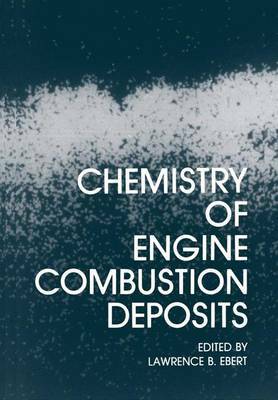 Research on engine deposits has not been as "glamorous" as in the rel ated fossil fuel areas of petrol eum, coal, or oil shale, and publications in the field have been largely confined to combustion and automotive engineering journals. One objec- tive of this book is to bring a large body of work on the chemistry of deposits into more general accessibility. We hope to make people more familiar with what deposits are, with what problems they cause, and with what present workers are doing to solve these problems. The creation of the book has involved many people. Patricia M. Vann of Plenum Publishing Corporation gave guidance in planning. We thank Claire Bromley, Ellen Gabriel, and Halina Markowski for the preparation of many of the Exxon contribu- tions. Finally, we thank Joseph C. Scanlon for his useful advice and encouragement.